Infinity Energy Solutions is proud to welcome Enphase Solar Solutions to our product selection. We are more than electricians, we are an exclusive stockist of the solar system, a preferred installer across the Illawarra and we’re delighted to be able to share Enphase solar installations with you and your family. Coming up to winter is the time to install air conditioning and heating with a reverse cycle split system. 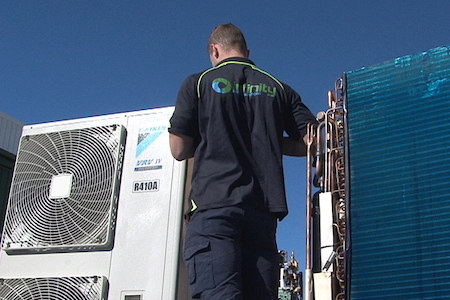 Reverse cycle, split system air conditioning and ducted air conditioning specialists. 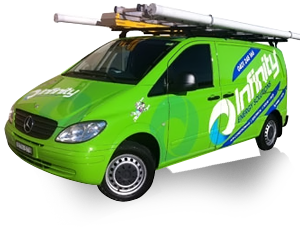 Infinity Energy Solutions supplies and installs only the best HVAC (heating, ventilation and air conditioning) brands available on the market. Find the perfect energy plan for you with these HOT DEALS. The average household with 4 people would benefit most from a 5 kilowatt solar system. You will see a return on your investment in 3 - 5 years. 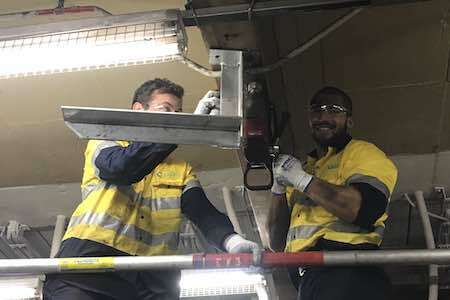 Our team of experience commercial electricians will be professionally presented, be clean and efficient in the workplace, and focus on the task at hand without being distracted by the myriad of other tasks being performed around him or her. 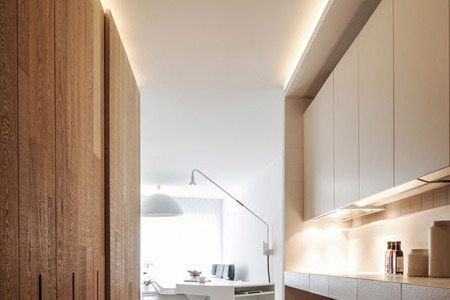 Infinity Energy Solution's professional lighting designer helps to design functional, aesthetically pleasing lighting scheme to complement your interior design. Our lighting design specialist will ensure your lighting features illuminate your area in tone with the features of your home. Infinity Energy Solutions are solar specialists, passionate about making solar systems an affordable for households. Solar power is an investment for your home or business. Infinity Energy Solutions has the latest and most up to date complex equipment to ensure we are on the leading edge of industrial electrical technology. Our large team of industrial electricians skilled to undertake repairs, tests and maintain electrical equipment on any size industrial site. Infinity Energy Solutions is a locally owned company that has a team of electricians to suit any electrical job, large or small. Our technicians are organised, proactive, hard working and honest. Operating from Wollongong in the Illawarra since 2005 they are members of NECA, the Clean Energy Council and ARCtick. We are AERIS Certified and provide services and maintenance for your air conditioning systems. 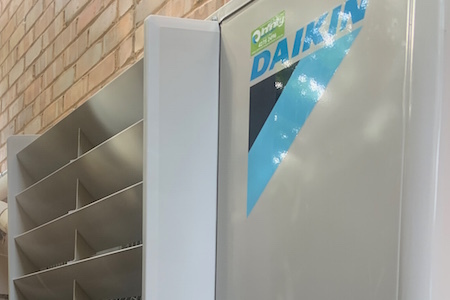 We install DAIKIN ducted air conditioning, split air conditioning and VRV systems. Authorised dealer and repairer for Legrand. Infinity Energy Solutions is the preferred installer for Beacon Lighting. Infinity Energy Solutions is committed to excellent service with high ethical standards. 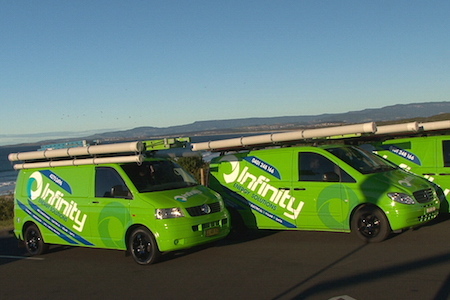 Infinity Energy Solutions employees have extensive experience in the electrical industry and are professionals focused on great customer service and ensure the job is completed on time, the first time. I felt it was essential that I contact you to commend your firm, especially your tradesmen, Matt and Ben for their professional service. These young men were by far the best tradesmen we have ever had work for us in thirty plus years in business. They conducted themselves with courtesy and professionalism at all times. They are a credit to your firm's training and to themselves. We will definitely call upon your firm for any future work we may require and I have already recommended your firm to our friends should they require your services. Congratulations to all. We are focused on GREAT CUSTOMER SERVICE and we ensure the JOB IS COMPLETED ON TIME, the first time. © 2018 Infinity Energy Solutions. All Rights Reserved.